It’s never been so easy to get the grades you need! Stuck on your homework? Preparing for exams? We're here to help! 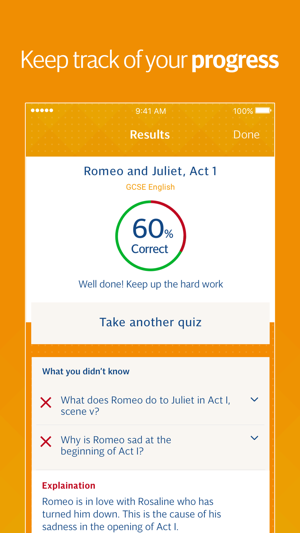 Gojimo is stuffed full of free content for whatever exam you’re taking – that’s over 40,000 quiz questions covering GCSE, AS level, A level, 11 plus and 13 plus Common Entrance. Basically, more quizzes to help you tutor yourself and practise your revision than you will ever need. There is plenty of top-quality content to make sure you’re learning what you need to know and your exam preparation is 100%. 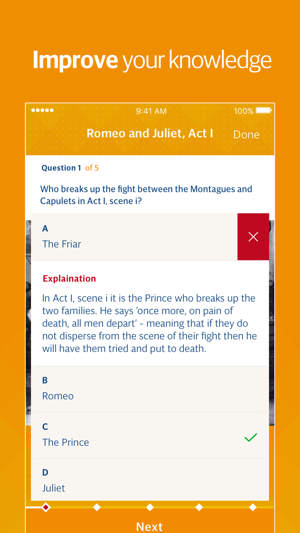 Test your knowledge with our revision quizzes and then check your answer against a detailed explanation. 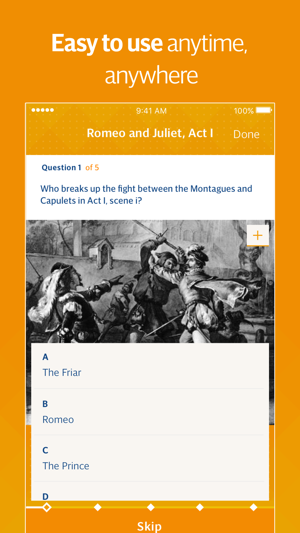 Quizzes can be between five and 25 questions long, so you can approach your revision homework in easy bitesize chunks. We even include links to more information to help you take your exam preparation further. Ready to give it a go? Get the free app now. Gojimo is now under The Telegraph Media Group. This version includes minor fixes and updates. 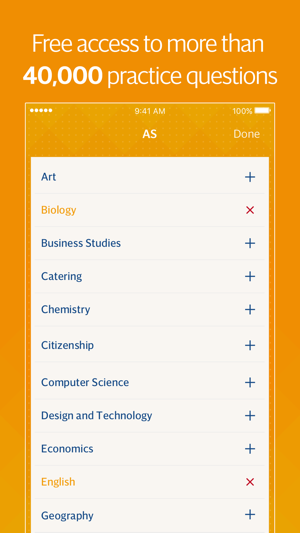 This app used to be so good, helped me get the best grades i could at GCSE. I really did appreciate the percentage labelled in front of each subject overall, and the individual topics where I could see how well I was doing and choose from there what to quiz myself on. The new update is honestly the worst thing ever. They completely got rid of the Driving Theory option, so now I can’t test myself on that. There’s no longer the percentage in front of the individual topics and then subjects, and worst of all, with the update for some reason all your previous data is wiped, which is horrible. I now have no idea how I was doing, and I have a chemistry test this Friday— how convenient! (note the sarcasm) I would rate it no stars if I could, but one is good enough since it did help me at one point. Anyway, please take my advice and DO NOT GET the update. It’s the worst thing ever, as I’ve mentioned, and i desperately want to revert. I wish I’d never downloaded it, and I hope the creators see this and realise what a terrible mistake they’ve made. Please revert it, don’t sabotage my education. why on earth would you release an update for this app and force an unfinished, messy and frustrating piece of software on people who genuinely rely on this to help with their education? I loved this app before, it was excellent, well organised and extremely helpful. I understand if it needed to be developed, but there’s no logic in forcing an update that is unfinished, incomplete and clearly hated, on lots of people who it will negatively affect? please please revert it. i’m so annoyed! half of the aqa biology topics have just been wiped! i needed those! what was even wrong with it!? the old A*-G system is not going to help anyone in the country now, so why release an update where it’s literally just that? anything but an automated response, thank you! Best thing I’ve seen !!AMAZING!! As a student in the 21st century it’s hard to have a social life and be able to revise but with this it’s a quick 1-5 minutes a lesson, this is due the quick overall subject quiz or the sections in the different areas of the subject.